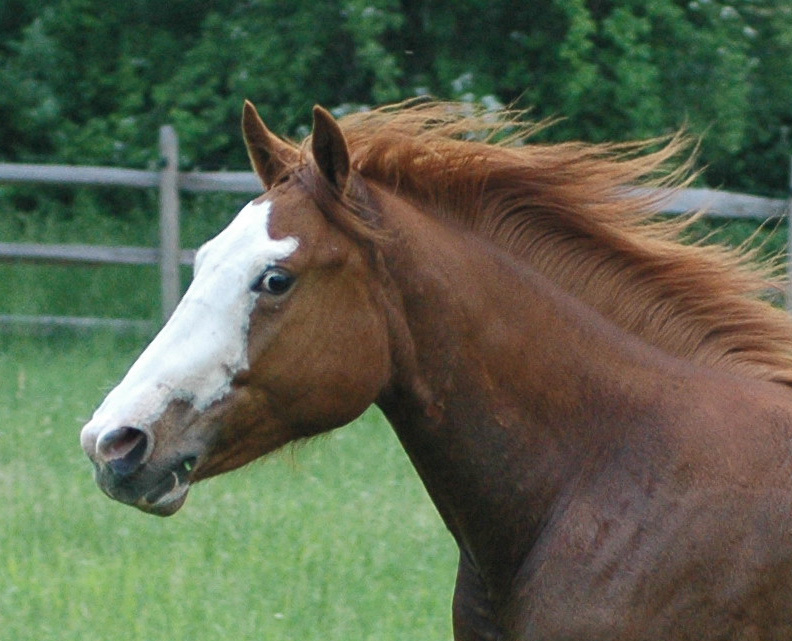 Do you wish you could communicate better with your horse? 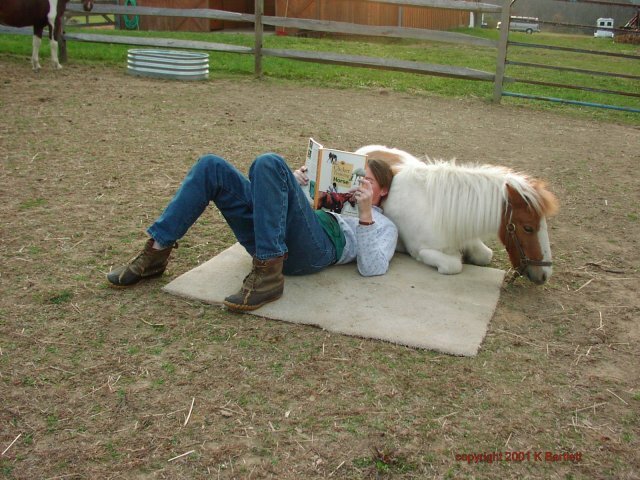 Do you wish you could have fun with your horse? Or do you just want to lie around with him? 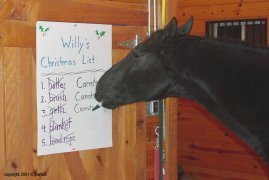 All these things are possible with a clicker trained horse. 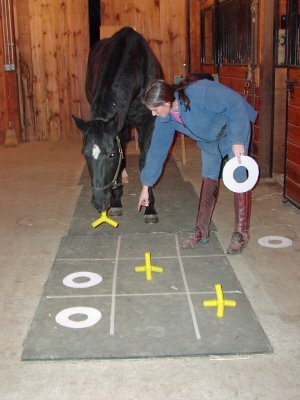 With clicker training, you can teach your horse all the skills he needs and have fun at the same time. 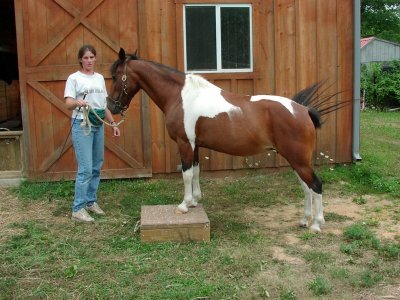 With clicker training, your horse learns faster because he is actively trying to learn what you are trying to teach him. You are truly working together toward a common goal. 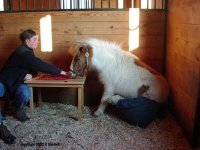 This site is set up as an educational site to help people learn about clicker training. You will find some basic information in the CLICKER BASICS, FAQ and GETTING STARTED sections. 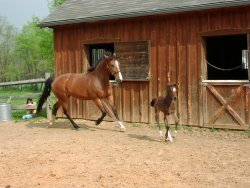 If you are already clicker training, then you will want to visit the articles section for more advanced topics. 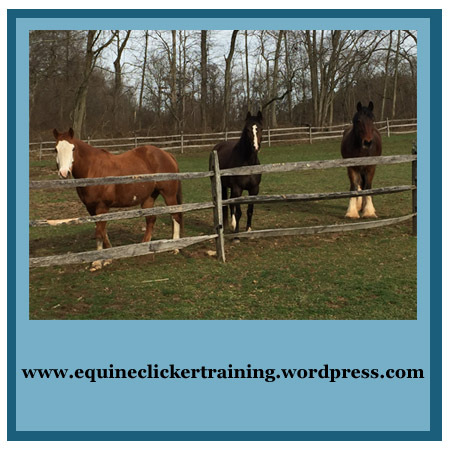 I also share training information on my blog: www.equineclickertraining.wordpress.com and my facebook page: Equine Clicker Training - Katie Bartlett. I attended the Art and Science of Animal Training Conference in March and have written a series of blog posts based on my notes. The conference was a great educational experience as well as a chance to chat with like minded trainers. In January 2016, I had an idea for a “little project.” I thought I would take some of the most useful articles from my website, blog, and Facebook page, organize them into a logical format and publish them as a set of “collected articles.” I organized the material into four volumes (beginner, advanced beginner, intermediate, and ridden work) and got to work. But, I quickly realized that just doing the first one would be a challenge, and I had to consider how much time and energy I could spend on this project. In the end, I decided to focus on the material for beginners and save the rest for later. Even though I decided not to cover more “advanced” behaviors, my hope is that the book provides a good foundation and trainers can use the resources and references that I have included, if they wish to learn more. Now, 2 and a half years later, I am finally publishing my set of “collected articles,” which has evolved into something more like a book. I chose to publish the book as an e-book because I wanted it to be searchable and easy to update. At the current time, the book does not contain any photos or video links, but there is a link to a page on my website where I will be adding photos and video links as I have time. Eventually, I will incorporate some of those into the book itself, but I thought it made more sense to publish the book now, instead of waiting another year for me to finish that aspect of it. I will post an announcement when an update becomes available. My hope is that the book will be useful for new clicker trainers who are just starting, or need a few more details about how to get started successfully, as well as provide some in-depth information for people who have already done some clicker training, but are eager to dig a little deeper into it. If you are interested in learning more about the book, you can find the book on Amazon, which will let you look inside. The paperback version is now available. You can find both versions on Amazon. 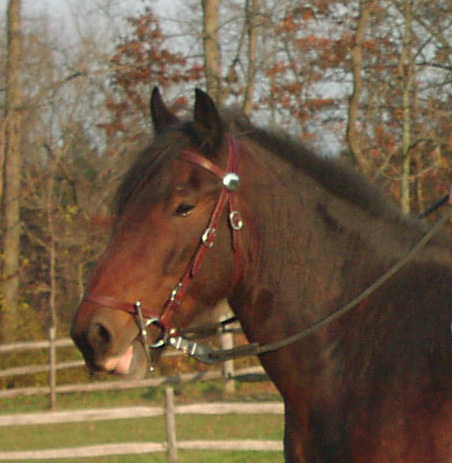 This site now has a facebook page that is where I will post updates about what's new on the site, share what I am doing with my own horses, and post other items of interest. 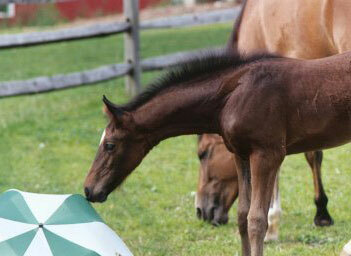 The site is named Equine Clicker Training - Katie Bartlett. To go to it from here, you can click on the link below. 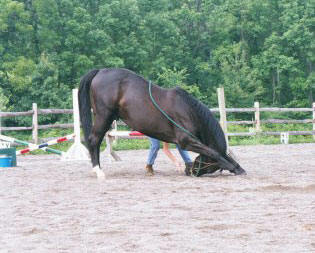 Training Tip: When teaching a horse head down, it is not uncommon for the horse to take a step forward as he drops his head. This is normal grazing behavior and just means it is his pattern. I find that teaching head lowering using a stationary target placed near the front feet often minimizes this tendency to combine foot movement with lowering the head.